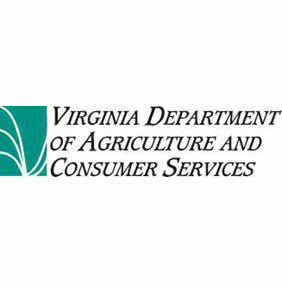 Since 1999, the Virginia Department of Agriculture and Consumer Services has recognized Virginia Cooperative Extension agents and specialists for their outstanding participation in the plastic pesticide container recycling program, the pesticide disposal program and pesticide safety education courses. In September, VDACS’ Office of Pesticide Services recognized the following agents for their outstanding performance in 2017. This group from Central Virginia won the top award for their work in presenting up-to-date information in an innovative and diverse way to a very large audience of pesticide applicators. By listening to the needs expressed by the applicators and working with them, they developed a workshop that highlighted the current issues of pesticide usage in Virginia. They were able to create a great deal of audience interaction and involvement that was sustained throughout each of the workshop events. Because of their vast experience and teaching abilities, the presenters were adept at framing the discussion with practical real-world examples. The learning environment engaged the audience in dialogue instead of presenting a slideshow with lecture. This two-way communication added significant value to the group discussion. The second place award recognizes a team of Extension Agents who developed an educational program designed to better train pesticide applicators of other state agencies, not only for the certification exam but also to improve the efficiency and quality of the pesticide applications and control methods employed by these new applicators. These agents planned, developed and conducted a four-day training complete with classroom and hands-on training with the examination to follow. One-hundred percent of those tested passed their exams. The growers in attendance at this training represented more than 7,000 acres of vegetable production in the Northern Neck region. The agents used a combination of presentation methods and technology, which kept those in attendance engaged in the training. The nominator wrote, “There was a lively exchange of questions and answers between each of the speakers and those growers in attendance. The subject matter discussed was very timely and applicable to the target audience.” Seventy-three percent of the attendees surveyed expected to increase profits by a minimum of 20 percent as a result of this workshop. Liza Fleeson Trossbach, Program Manager of VDACS’ Office of Pesticide Services, and Dr. Ed Jones, Director of Virginia Cooperative Extension and Associate Dean of the College of Agriculture and Life Sciences at Virginia Tech, presented each agent with a certificate of recognition and a gift basket of Virginia’s Finest products.